Data is the biggest concern for any organisation to make a significant growth in their business. Business users want to fetch data as fast as possible, and write the data back into the database as fast as possible but database size grows with every passing day and we want to make sure that all operations are executing smoothly. So, we have to take care of the tuning and monitoring our database server for performance. 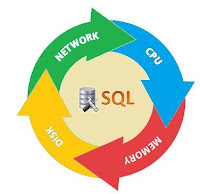 b) The correct T-SQL code for SQL Server to implement- Need to check all SQL threads which are running behind for the SQL codes. These threads would be helpful for diagnose performance issues with SQL Server and also with specific queries and batches. Need a closer look at CXPACKET wait type thread in SQL Server. 4) Gather IO statistics down to the SQL Server database - We need to determine issues with locking, blocking, fragmentation, missing indexes, deadlocks in SQL Server database file level.